Seedling is an action adventure game with many dungeons to explore. It also has an accompanying story set many years after the events of the game. 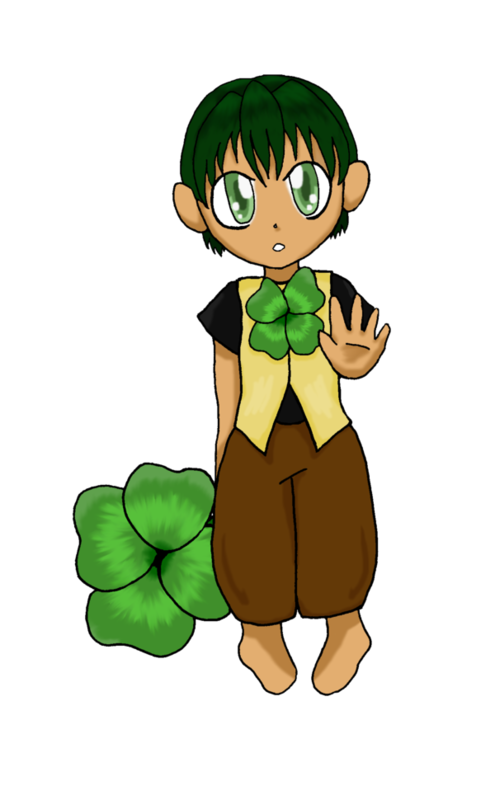 Seedling is set in the fantasy realm of Sero Silva. While the player may change the name and the gender of the protagonist, the hero by default is a young pre-teen boy named Aller. Through sheer willpower and determination, Aller must absorb the essence of magical weapon monsters to build up enough strength to face the Kudzu and protect the world from its grasp. 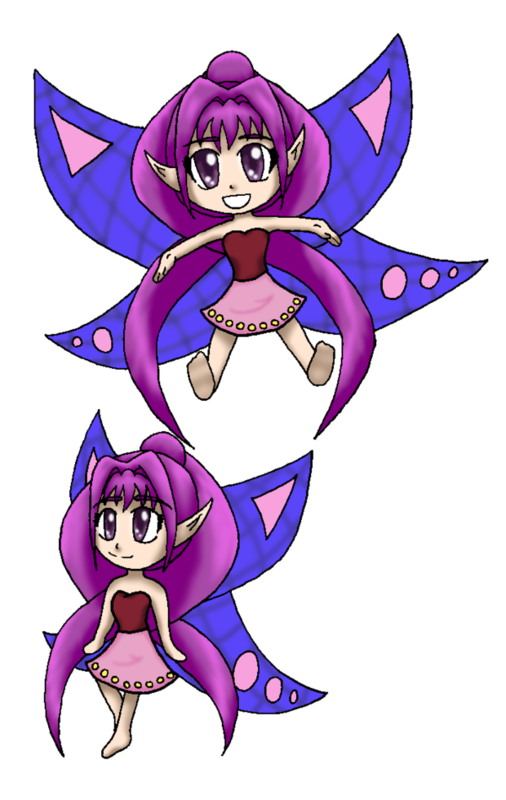 Suzette – One of the four fairies of Sero Silva, Suzette is the guardian of Ekati Village. As long as she keeps her strength up, the village is safe from miasma. Magic Beasts – The Magic Beasts are leftover weapons from an ancient war fought 1,000 years ago. They contain spirit energy which can be absorbed upon their defeat. Kudzu – An abomination from another world that seeks to take away free will altogether in order to punish mankind for their evil deeds. He does this by spreading a miasma which, when inhaled by an adult, turns them into a mindless drone. Children are immune to the miasma, but with the adults out of commission, what could protect them against the Magic Beasts? Blacksmith – After gaining the trust of the Wolf Clan, the blacksmith is willing to upgrade your sword if you bring him a rare orichalcum ore.
Seedfolk – A race of humans native to Sero Silva. 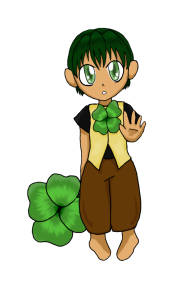 Every Seedfolk is born with magical abilities, and children are taught how to use their magical skills along with weapons such as the Leafblade. Lizard – The Lizards are tall creatures native to the Ant Desert. Their original home was lost in the war one thousand years ago, and now they wander the desert. Wolf – The Wolves are creatures native to the Celestial Tundra. They pride themselves in their traditions and have difficulty trusting outsiders. Fairy – Fairies are mystical, immortal beings that predate all civilization. Having no uniform appearance, they have the power to repel darkness. Since the war, many fairies have disappeared, and only four are left in the world. Magic Beast – Coming in many shapes and sizes, Magic Beasts are supernatural force given form. When slain, they dissipate into raw magical essence leaving behind no corpse. Ekati Village – Ekati Village is Aller’s hometown, where he was born and raised by his mother. It is a small community having kept to itself since the war ended. A Guardian Fairy protects the village from the forces of the miasma. Ekati Mine – A mine filled with mystical rocks which have special healing powers. The Ekati is ground into dust which is then used as spice, making food in Sero Silva rich in magical nutrients. Sero Silva Plains – A large grassy field found in the center of Sero Silva. It serves as the hub to the world’s other locations. Eastern Jungle – A dark jungle ruled by a necromancer that commands legions of undead plants. Eastern Temple – The pinnacle creation of a civilizations that fell during the Magic Wars. Prison Complex – A dungeon used to hold offerings for the evil Necromancer. Ant Desert – An ancient battleground razed by fires one thousand years ago, the Ant Desert is inhabited by nomads who seek to uncover the secrets of the Ant Pharaoh’s Tomb. However, a sandworm made off with the key to the tomb. Celestial Tundra – A clan of wolves discovered the Celestial Castle and declared it as sacred ground. They are suspicious of outsiders, especially considering that the miasma has defiled their traditions. Celestial Castle – The ancient castle guarded fiercely by the Wolf Clan. Poisoned Swamp – Once a beautiful, lush environment, the waters have become polluted with miasma driving the Dragon Guardian into madness. A horrifying witch has also moved in, living next to a pier. Swamp Cave – Where the Dragon Guardian’s lair is. Mt. Oblivion – A volcano only a short walking distance away from Ekati Village, yet it is a treacherous climb. At the heart of Mt. Oblivion is a portal leading to the Kudzu’s Realm. During the Magic Wars, fire spewed out turning the skies black, but after the dust settled, the volcano has since gone dormant. Kudzu’s Realm – A distant alien world linked to Sero Silva via a rift within Mt. Oblivion. Reapermantis – The Reapermantis attacked the fairy Suzette causing her to become weakened. Garig – A poisonous snail that lives in the Ekati Mines. Green Eylius – An aquatic serpentine creature created by the Necromancer. The Green Eylius was meant to be a modification of the Red Eylius that could adapt to the Eastern Forest. Necromancer – An evil wizard that made his base in the Eastern Ruins. He is a loyal disciple of the Kudzu. Sandworm – A man-eating beast that tunneled its way below the Ant Desert to await its prey. Ant Pharaoh – The enraged spirit of the ruler of the Ant Kingdom. Griffin – The ultimate Magic Beast which was locked up in the Celestial Castle. Kitsune – An ancient demon fox born from the fires of Mt. Oblivion. It turned to stone once the volcano went dormant, yet the beast still awaits a challenger. Red Eylius – The Red Eylius is a monster native to the Kudzu’s world. Imp Twins – A pair of mischievous imps that enjoy a good cuisine consisting of the life force of mortals. The Red Twin prefers the taste of stamina and endurance while the Blue Twin fancies strength and attack power. Black Knight – Once a valiant hero of the land of Sero Silva, the Black Knight’s mind was twisted by the miasma. He seeks an individual willing to put an end to his misery, but the miasma compels him to continue wreck havoc. Kudzu – The final boss, and the source of the miasma. Witch – Once a kind old woman known for her generous hospitality, the Witch was twisted by the Kudzu’s dark magic, and now she preys on children lost in the Poisoned Swamp by inviting them to a feast from which they never return. Leafblade – The Leafblade is the sword used by Aller. Crafted from razor sharp leaves, the Leafblade is the weapon used by all members of the Ekati Village. Experience – Experience is the main source of knowledge released by a magic beast when it is slain. The monster’s life essence is dissipates and becomes a part of you. Collect enough experience to reach the next level. Potential – Potential is the residual energy released from a magic beast. Essentially, potential is experience towards a certain stat. Every five potential points you collect results in an extra stat increase the next time you level up. The cooks of Ekati Village have learned how to harness potential to mix it with food ingredients. What you have for lunch could very well impact your journey. Miasma – The Miasma is the dark force that flows throughout Sero Silva. Space-time becomes very unstable in this area, causing portals to the Void to open up. Worse yet, when an adult is caught within it, they become slaves to the will of the Kudzu. Therefore, only Aller is capable of saving the land. Void – The Void is an alternate reality adjacent to Sero Silva, created as a manifestation of the sins and wrongdoings of mankind. The miasma has been causing portals to the Void to appear all over Sero Silva. If you get caught within one of these portals, you must fight your way past shadow creatures to escape. Spell – A spell is an incantation used to summon magic which can have a variety of effects. Aller starts off with a solar energy blast spell, but the other three are hidden. Orichalcum – A rare ore hidden somewhere in southern Sero Silva. A blacksmith in the Wolf Clan knows how to smith it into a powerful sword. 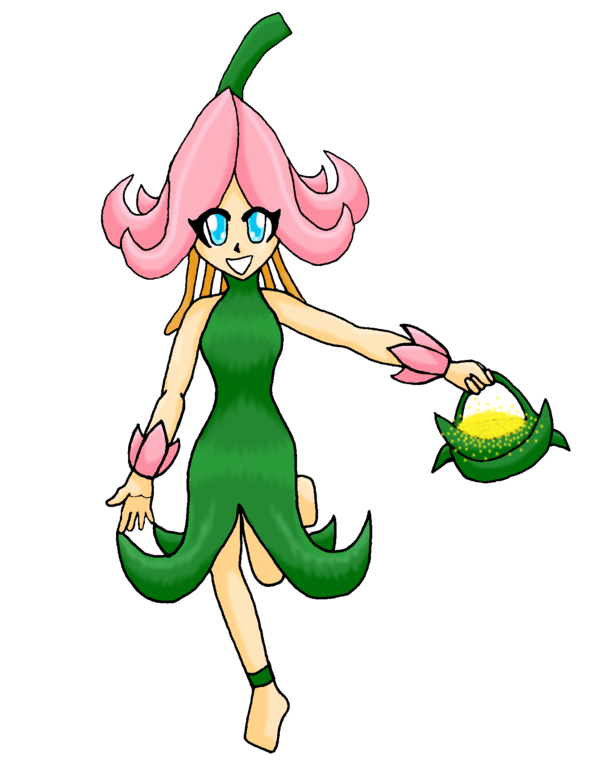 Set many generations after the events of the game, Seedling: Dawn of Children shows what Sero Silva has become since Aller’s victory against the Kudzu. Proper civilizations have reestablished themselves from what was once a collection of nomadic clans and tiny villages. The greatest city in Sero Silva is Allerstad, surrounded by a great wall that keeps regular monsters out as well as an aura of light generated from a fairy descended from Nerida who also shares her name. She keeps out the shadow creatures who still roam the world even after the Kudzu was destroyed, but this safe haven does not last. An encroaching darkness grows yet again. Bruno – Bruno is a young boy living in a small village in the kingdom of Allerstad. Aspiring to be a member of the Guardians, he trains on his own, pretending to fight monsters. He’s fiercely protective of those close to him, remaining chivalrous to nearly all who he meets. Eveline – Eveline is the Prodigy of Light, a mage born once every generation gifted with the ability to quickly learn numerous magical abilities. As a chosen protector of the land, she puts her massive obligations well before herself, using her talents to help others. Tara – Tara is Bruno’s little sister. Being purely young and innocent, she loves to play with her older brother and spend time with family. One thousand years ago, a great conflict known as the Magic Wars devastated the world. Factions from all over forged war machines known as Magic Beasts to do battle with one another. When the dust settled, nearly all of civilization was destroyed. To punish mankind for their crimes, a dark, otherworldly entity known as the Kudzu invaded with the intent to eliminate freedom as we know it by spreading a miasma across the world. Mankind’s only saving grace were the fairies who sought to repel the darkness. Four of them survived the battle with the Kudzu, and they went into hiding to protect the last remaining mortals. While the Kudzu was greatly weakened, he was not ready to give up. He continued to invade by seizing control of the leftover Magic Beasts to eliminate the last of the fairies The world was left devastated as humanity survived merely as roaming tribes. However, one last hope remains. The miasma does not affect children and only Aller is brave enough. Should he succeed, he will become the seedling of a new golden era. After Aller defeated the Kudzu, he inspired all the children of the world to claim the land from the miasma while the adults became the Sages, advisors with great wisdom and knowledge. The children formed an organization known as the Guardians and fought against both the monsters and the shadow creatures, conquering Sero Silva. While the miasma was kept at bay, it was not gone. Cities with protective barriers of light were created while the wilderness remained a dangerous, hardly traveled placed. After the establishment of Allerstad, an isolated keep known as the Celestial Tower was created to the north. Here, children gifted with the ability to cast magic gathered to train their skills to become mages while the others stayed in the city and trained to become warriors of traditional combat. A king rules the realm of Allerstad and the Sages continue as advisors, while an elder Archmage looks after the tower. Every generation since the founding of the tower, a child would be born known as the Prodigy of Light, a mage naturally gifted to the point where they could learn spells instantaneously. However, the Prodigy of Light loses their quick-learning abilities upon becoming an adult. From there, they become the new Archmage to serve as a leader of the rest of the mages and as a direct advisor to the next Prodigy of Light. Since this time, a dark power grows to the east as a small group of cultists become determined to reclaim the land that once belonged to the Kudzu. Check out the behind the scenes development of Seedling here!